There is a children’s play corner in the waiting room. Baby changing facilities, a potty and step stool are available in the patient toilets off the waiting area. Mothers are welcome to breastfeed their babies in the surgery. If you prefer to sit somewhere private, you are welcome to use the quiet room – please speak to the receptionist. The building and all spaces inside are fully accessible. There are four parking spaces near the front entrance reserved for patients who are either registered disabled or whose current condition means that they cannot walk easily. A wheelchair is available for use inside the surgery. There is a fully accessible patient toilet off the waiting area. There are portable induction loops at Reception and in the dispensary. 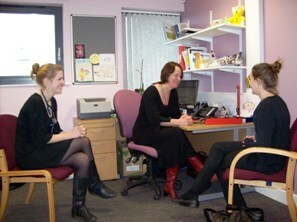 Rooms may be hired on an occasional or regular basis by practising private therapists. 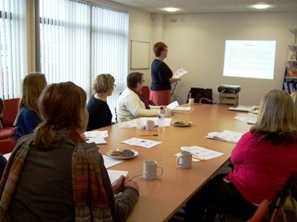 The surgery also has a flexible room that can be hired for meetings, training sessions or courses.